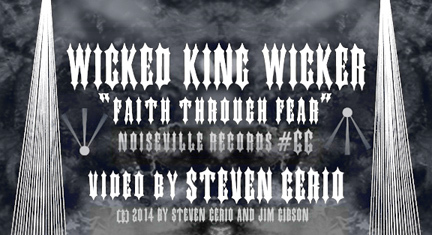 A video (me)Steven Cerio directed,filmed and edited for Jim Gibson and Logan Butler’s WICKED KING WICKER song “Faith through Fear”. This is my first “horror” influenced film where it made sense to shoot entirely in black and white. BTW the two girls in the film are twins Heather Wilson and Sarah Wilson.